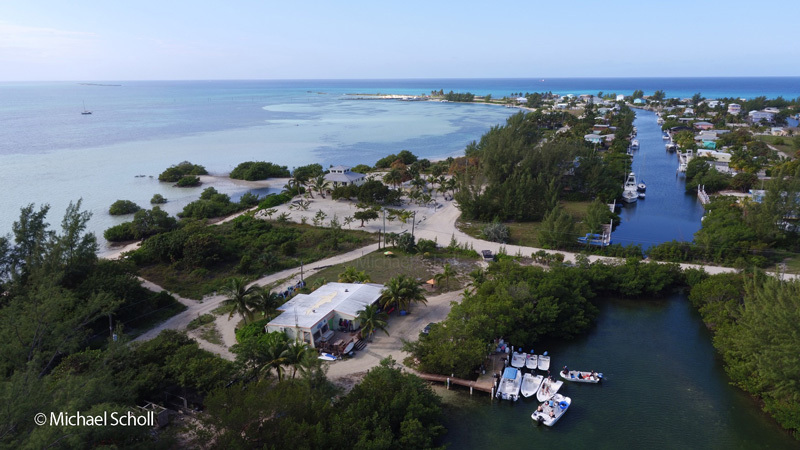 Bimini Island (Bahamas) is home to the Bimini Biological Field Station Foundation. Known as the Sharklab, the BBFS team conducts ongoing studies of sharks to further our knowledge of and ability to protect these magnificent fish. 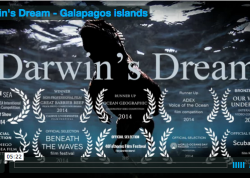 The Sharklab team is very active in conservation and actively shares their activity via social media. 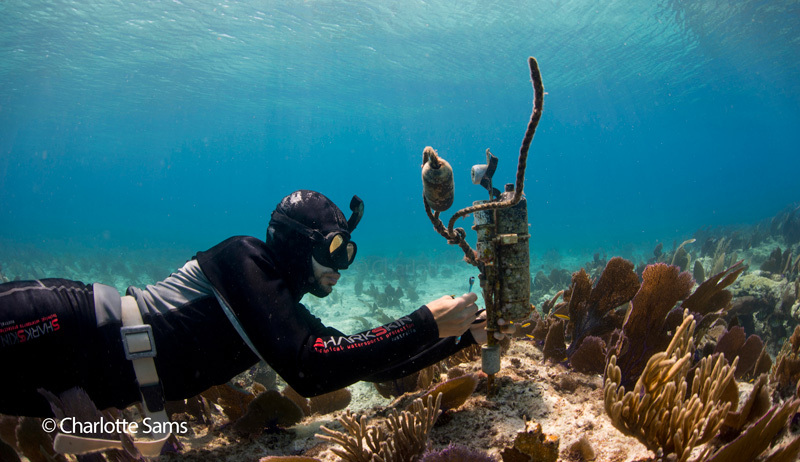 Those who are traveling to the Bahamas can also tour the facility to get an inside look at where these scientists and volunteers spend their time. We have been following the Sharklab for a while and decided it was finally time to reach out and share some more information. We presented the questions below to Media Manager, Charlotte Sams, who graciously filled us in on all the details. 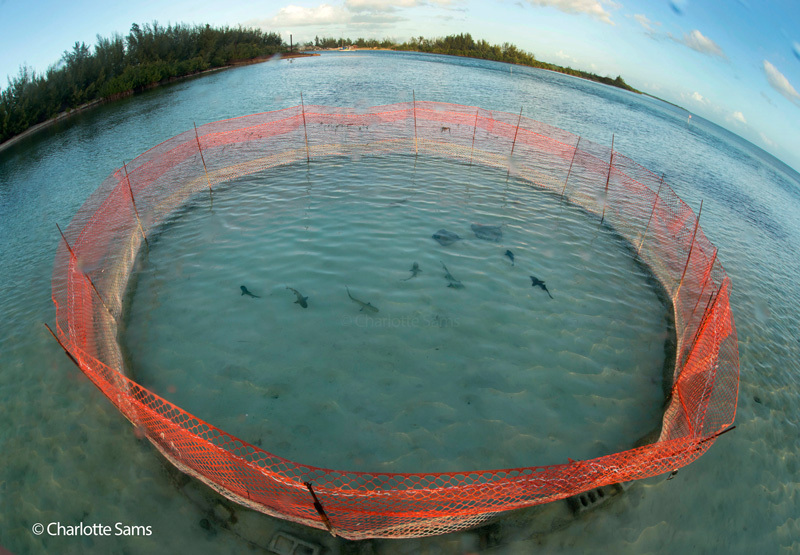 What is the mission of the Bimini Sharklab? The mission of the BBFS Foundation is to advance our knowledge of the biology of marine animals especially the heavily impacted elasmobranch fish fauna (sharks and rays); to educate future scientists at undergraduate and graduate levels; and to disseminate our research results to advance the field of marine science and conservation biology, as well as raise public perception and awareness of sharks and other marine species. What exciting project or research is the Sharklab team working on now? We are working on numerous projects! From baby Lemon sharks to Great Hammerheads, Southern Stingrays and more, our research covers 10 different species around the islands, and investigates topics such as personality, movement, species density, and ecology of various elasmobranchs. One specific project involves learning more about Tiger sharks, and why they are so frequently using Bimini’s waters, whether they might be using it as a pupping ground, and where they travel after Bimini. What is a typical day like for a researcher/scientist? Are they diving with sharks all day, spending time in the lab, etc? 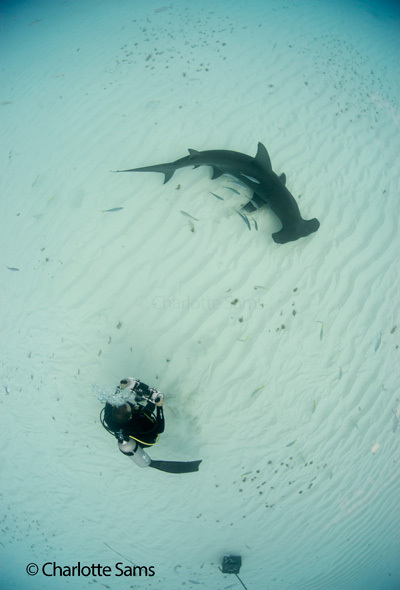 The days at the Sharklab vary drastically, on good weather days we like to spend as much time out in the field collecting data; this could involve freediving with great hammerhead sharks to gain images and measurements on them, or setting shallow water longlines to try and tag more tiger sharks. However there’s a lot of data processing, equipment maintenance, and behind the scenes admin work that goes on too. What are the top achievements of the last few years? 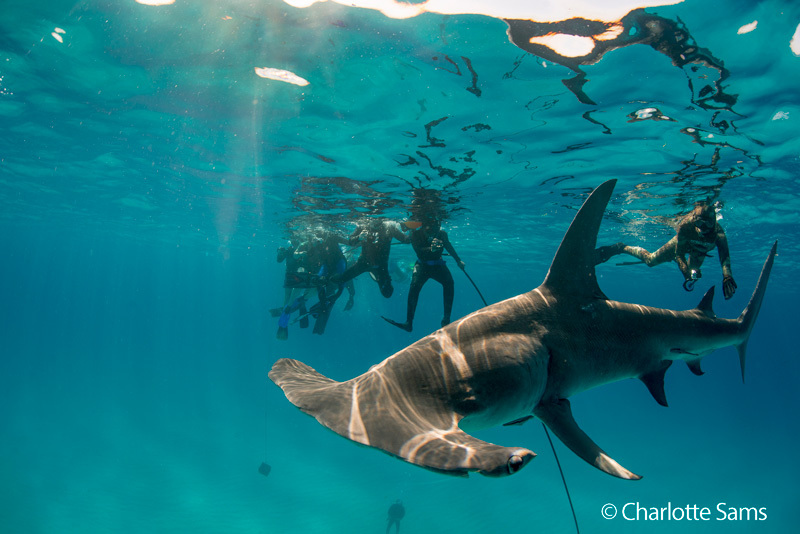 Through data and research we helped establish the Bahamas as a Shark Sanctuary in 2011, meaning it is illegal for any sharks to be fished for or killed in the Bahamas. 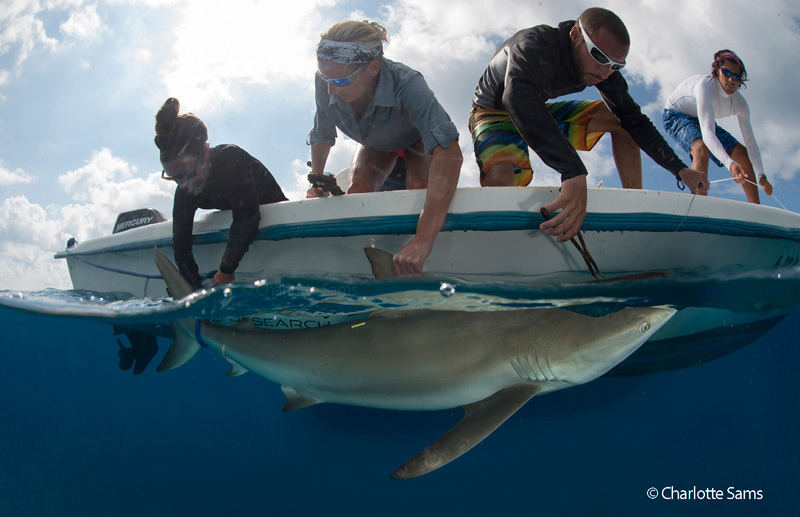 Through recent tagging we discovered that Great Hammerheads travel from Bimini, to Virginia, and back again, lemon sharks cross the Gulf Stream from Bimini to Florida, and that baby lemon sharks born in Bimini return here years later to give birth to their own pups. Since the Sharklab’s start, we have published almost 100 publications, and each one furthers our knowledge of elasmobranchs. Visitors can tour the Sharklab. What does this consist of? We run public tours at the Sharklab, where anyone is welcome to come and learn about the origins of the Sharklab, see the building, and also visit our juvenile sharks that we have in semi-captive pens off the beach. They will learn about the biology and physiology of these young sharks, as well as our various research projects that we have going on. How can we help out or get involved? 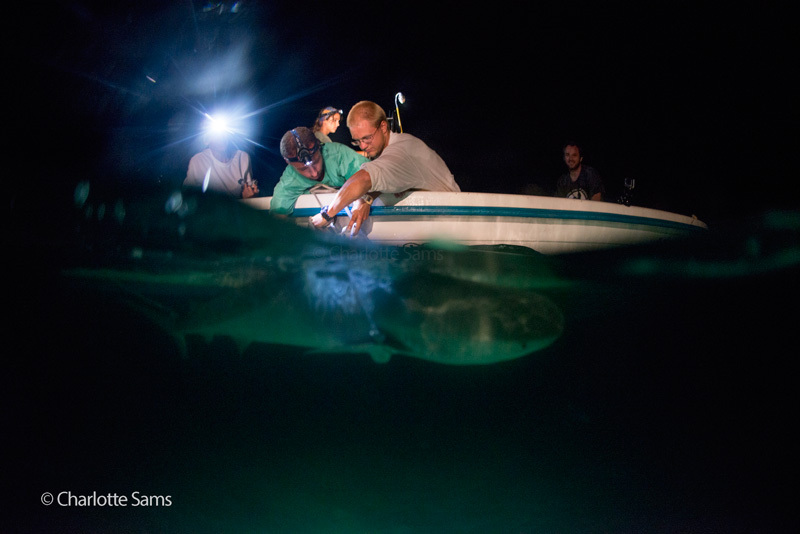 The Research Experience is a 5-day taster into the shark activities we do here, and open to absolutely anyone. You will experience all the seasonal action that the Sharklab has going on, and take part in the field work and research that we do daily. We have an adopt-a-shark program, where you can support the Sharklab by adopting a tagged shark species. And more recently, we have launched a book ‘Shark Doc, Shark Lab’, which all donations from will fund the station’s rebuild to become more energy efficient and hurricane proof. You can visit our website for more information on how to support and/or get involved! Join the Underwater Photography Guide in Bimini this June! 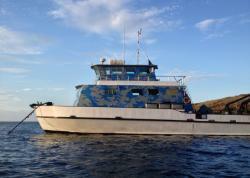 Photograph spotted dolphins, Caribbean reef sharks, large stingrays, juvenile lemon sharks and tour the Bimini Sharklab! June 21-28, 2016. Full details here.